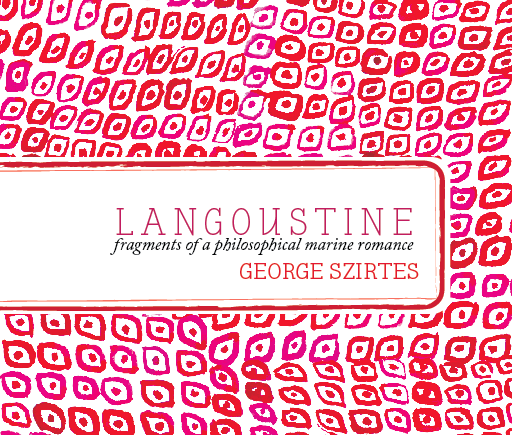 may we suggest LANGOUSTINE by George Szirtes? By mieladmin / On November 8, 2013 / In may we suggest? At the bottom of the North Sea, a most unlikely pairing: in Langoustine: Fragments of a philosophical marine romance, George Szirtes’ fragments unite a crabby doctor and a langoustine of dubious intentions. Conversant in literature, philosophy, and current events, the two hold court among sea fans and stethoscopes. A charming selection of Szirtes’ ongoing fragmentary storytelling, Langoustine is sure to delight even readers who never planned on visiting Cromer Pier. For who: tentative seafood lovers. Seaside summer fling have-ers. North Sea swimmers. People who think they don’t like poetry. People who think poetry has no sense of humo(u)r. Your sister or brother, back from their first semester at university. Your dad. Your favorite aunt or uncle. What’s to love about it: Langoustine is dark and funny and playful; it’s melancholy and unresolved. It’s 100% not saccharine. It’s a size that can be read in one sitting, but it’s complex enough to enjoy rereading many times. Also, the cover stock is luxurious & soft! All that for just €9 (plus shipping)! Where you can get it: right here in the MIEL online shop.